Being a writer, struggling to find words for stories only to discover the real struggle is to find an audience, has its frustrations. In some ways, it winds up acting as a metaphor for all of life. Here’s poem I wrote on the topic. It started as a vent. Where’s my audience? Where’s my success? 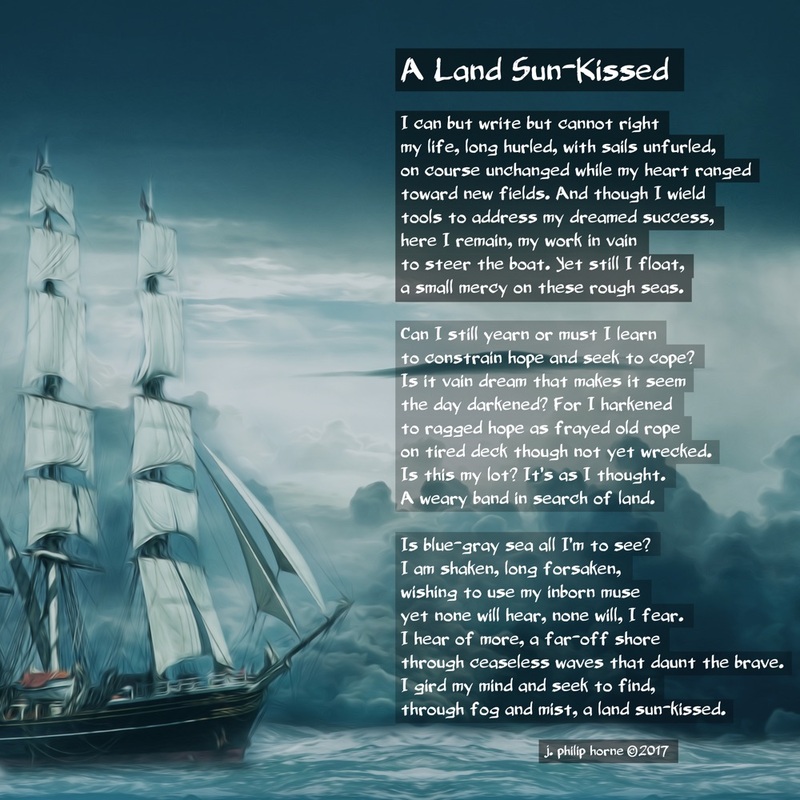 … Continue reading "A Land Sun-Kissed"